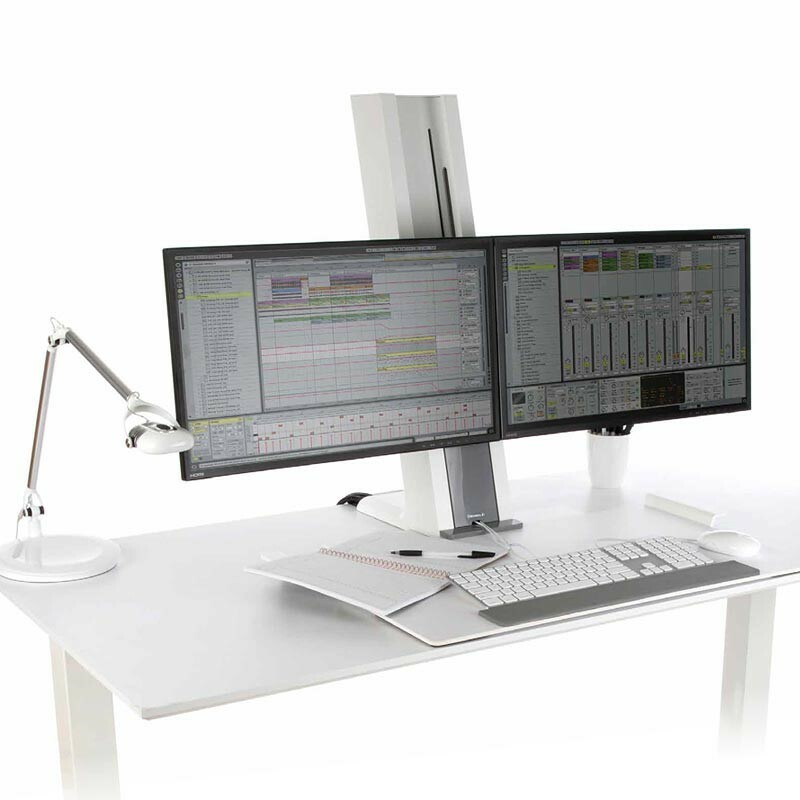 The Standesk Memory Electric Sit Stand Unit is a robust ergonomic device that can be used to hold up to three computer monitors at once. This is a great product for people who have back issues and require an electric powered motor that doesn’t cause any strain on the body. 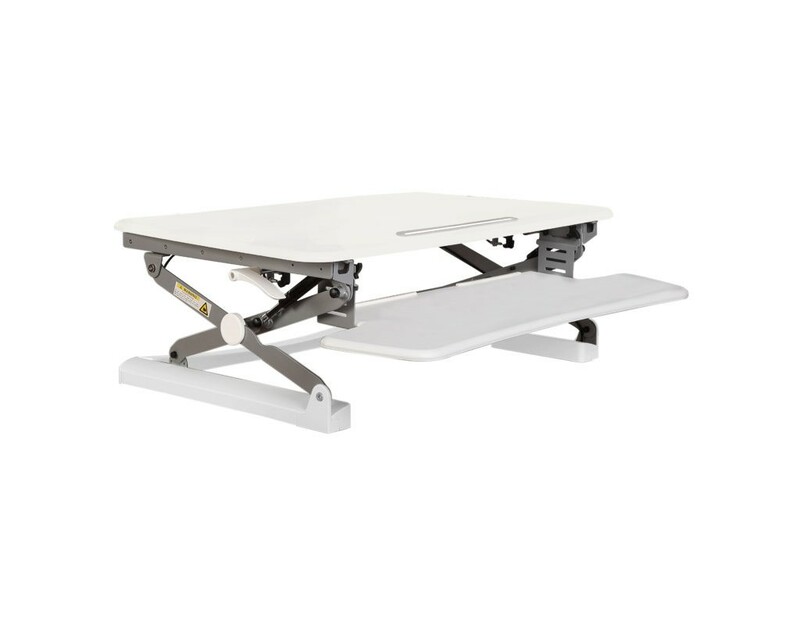 Standesk Memory Electric Sit Stand Desktop Unit. 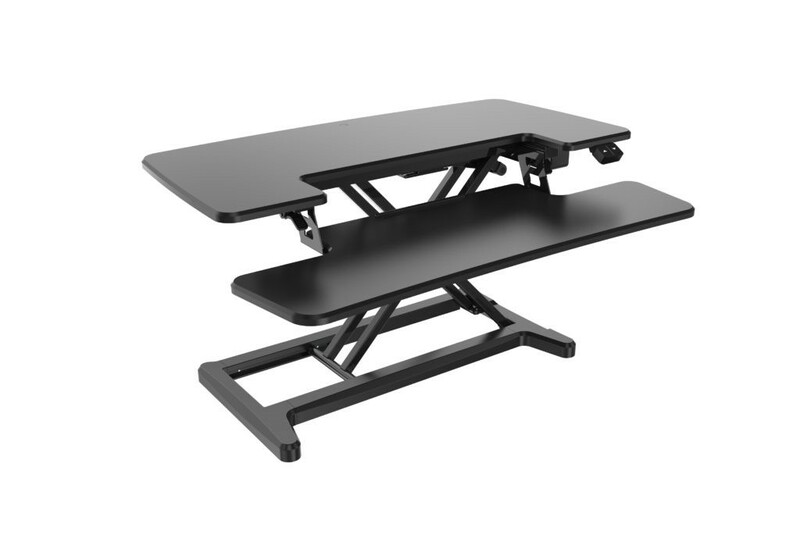 The Standesk Memory Electric lets you have all the benefits of a sit-stand desk without having to purchase a brand new desk. 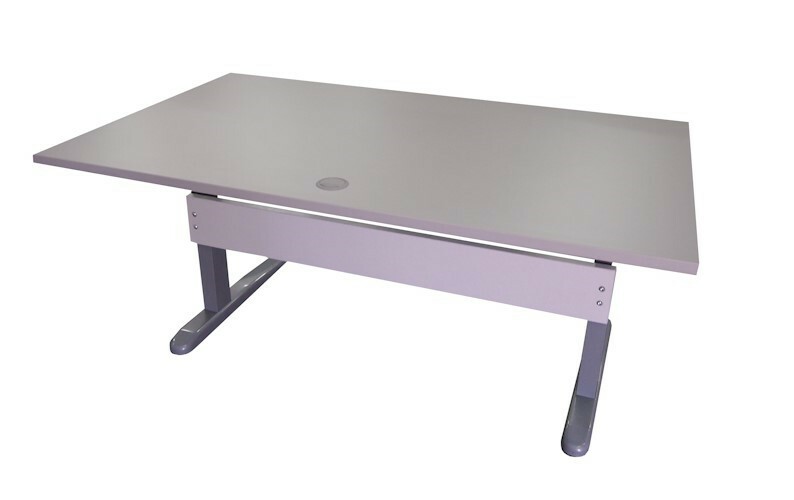 The Memory Electric sits on top of your existing desk and quickly converts your normal work area into an ergonomic workstation. Enjoy two work surfaces - one for the monitor and one for the keyboard/mouse. You can raise or lower the Standesk Memory to any height. The desk also has a handy feature that lets you save your three favourite heights.